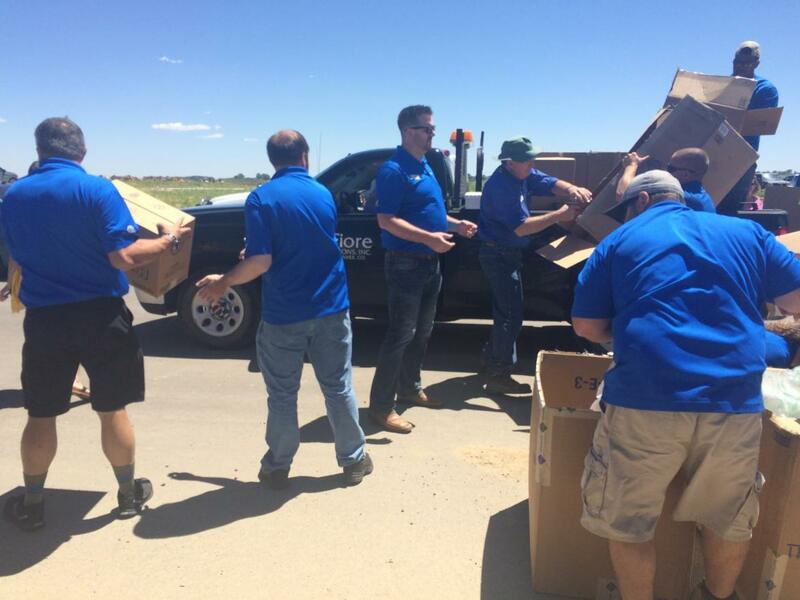 ENGLEWOOD, Colo. - May 25, 2018 - PRLog -- From now through Father's Day, HomeAid Colorado, a nonprofit that builds new lives for homeless families and individuals through housing and community outreach, is hosting an "Essentials For Young Lives Drive" aimed at collecting diapers, wipes and formula for families with young children. Combining the efforts of 25 participating organizations and more than 31 public drop off locations, the Essentials Drive is expected to collect more than 500,000 diapers, 50,000 wipes and 20,000 ounces of formula. HomeAid Colorado will distribute donated items directly to 10 local nonprofits that serve homeless families at the Builders for Babies Collection Event on June 8, 2018 from 10:00 AM to 2:00 PM at Mile High Stadium . Donations provide critical support to the families these organizations serve in their transitional housing programs and emergency shelters. Families can spend upwards of $80 a month on diapers for one child but the cost can go up if there isn't transportation to big box stores. While the cost of food can be addressed with access to food banks or tap into public nutrition programs, little if any help exists to address diaper need. Diaper need is the lack of a sufficient supply of diapers to keep a baby clean, dry and healthy. HomeAid Colorado addresses this challenge for homeless families by asking individuals and local businesses to collect the essentials young families need to care for and raise healthy children. Among the care providers receiving donations from the Essentials Drive are Colorado Homeless Families, Denver Rescue Mission, Gathering Place, Hope House, La Puente, Partners in Housing, Third Way Center, Volunteers of America, Growing Home and the Emergency Family Assistance Association (EFAA) of Boulder. "Diaper need is just one more challenge for families facing homelessness," said Frank Walker, Lennar Division President. "The health and well-being of our most vulnerable depend on access to nutrition and basics like diapers and wipes. Our event this year at Mile High Stadium will serve more care providers who offer direct service to these families and give donors the opportunity to make an immediate impact." A number of other businesses and organizations have come to the table to support the drive, including Cardel Homes, Shea Homes, KGA Studio Architects, PC, Thrive Home Builders, Heritage Title Company, Lennar, KB Home, Epic Homes, Wonderland Homes, Berkeley Homes, Parkwood Homes, Taylor Morrison, William Lyon Homes, Brookfield Residential, TRI Pointe, Oakwood Homes, Tom Ullrich of RE/MAX MASTERS Millennium, Arrowhead Floors & Interiors, Cambria USA, Graf Engineering, Land Title Guarantee Company, Kentwood Real Estate, The Lion Project, Saddleback Design, LP Building Products, Colorado Carpet Distributors, Guy's Flooring, James, Hardie Building Products, Land Title Guarantee Company, Lennar Colorado, LP Building Products, Shea Homes, Weyerhaeuser and BMC. To learn more about HomeAid Colorado and our efforts to rebuild lives for Colorado's homeless, visit our website at www.HomeAidColorado.org. To see photos from this year's Essentials drive, please visit us on Facebook at www.Facebook.com/HomeAidColorado. HomeAid Colorado is a nonprofit provider of housing and resources for homeless families and individuals. HomeAid connects home builders with respected nonprofits to help make sure every Coloradan has access to quality housing and living essentials. Since 2001, HomeAid Colorado has garnered more than $5 million in in-kind donations, adding more than 374 beds for the homeless. HomeAid has created assets for local nonprofits totaling more than $14 million with more than $6 million worth of projects in development, forecasted to add or preserve 99 beds. For more information, visit http://www.homeaidcolorado.org.